PATNA: A teenager, who received a bullet during a celebratory firing and was declared brought dead by doctors at a private hospital on Tuesday, miraculously started breathing four hours later—just before an autopsy was to be conducted. The parents of Manoj Kumar, 18, were overjoyed and grateful for what they described as his “return from death,” but they were also seething with resentment against doctors who declared their son dead. Manoj is currently under treatment at the ICU of Patna Medical College Hospital (PMCH). “His condition remains extremely critical, he is in coma,” said Dr Abhijit Singh, in-charge of emergency department at PMCH. PMCH doctors were shocked to find Manoj breathing just before the autopsy process was to start. 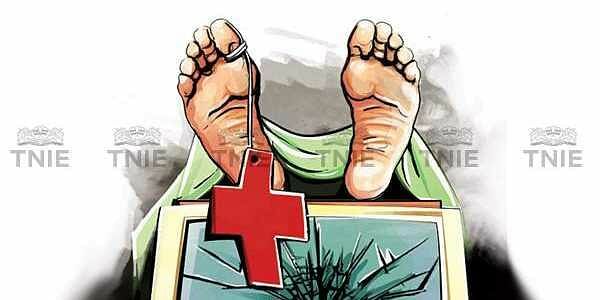 They called his relatives to the post-mortem room and asked them to rush him to the emergency ward for treatment. “It was certainly a grave error by doctors who declared him dead and recommended autopsy,” said a PMCH doctor. Manoj’s father Ganauri Chaudhary said he does not want to lodge a complaint against the private hospital in Patna’s Hanuman Nagar area. Another teenager, 16-year-old Avinash Kumar, who received a bullet in his neck at the same venue, died within minutes after bleeding profusely, police said. The incident occurred at Sakraicha village under Parsa police station in Patna on Sunday night. Subodh Paswan, who had hosted the party to celebrate the birth of his son six days ago and also to inaugurate his newly built house, suddenly started firing from a katta (country-made revolver) at about 11.30 pm on Sunday. His guests, nearly 100, were dancing to loud music at the time. The bullets hit Manoj and Avinash. It is yet to be ascertained if Paswan, who has since been absconding, fired the shots in an inebriated state. Some people have told police that he fired when some young men demanded to be allowed to dance on stage along with skimpily clad nautch girls.